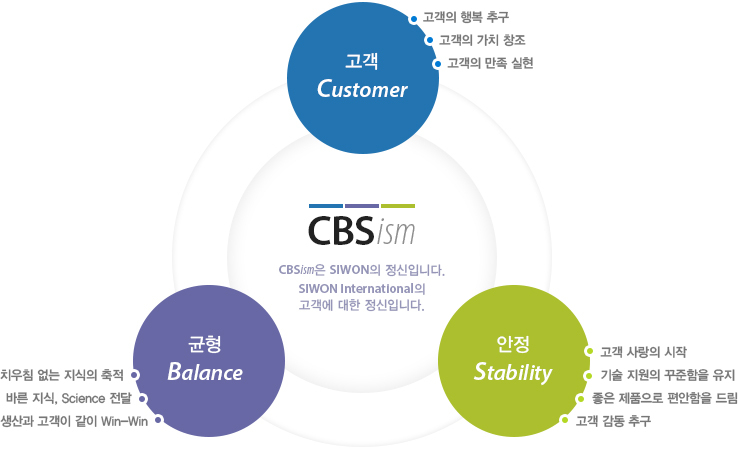 CBSism은 Customer, Balance, Stability의 약자로 시원의 고객에 대한 정신을 의미합니다. SIWON Internationl Co., Ltd. gives a Balance and a Stability. 시원 인터내셔널은 고객 여러분께 균형과 안정을 드립니다. COPYRIGHT ⓒ 2016 Siwon International Co., Ltd. ALL RIGHTS RESERVED.